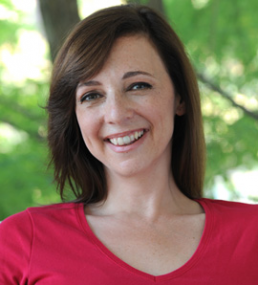 Author Susan Cain pressed for better recognition and support for the world’s introverts in a well-received talk at the TED conference in Long Beach, Calif., today. Cain argued that workplaces and schools are organized around extroverts, with their tendency toward outspoken leaders and emphasis on group coordination. “Western societies favor the ‘man of action’ over the ‘man of contemplation,'” Cain said. Over time, she noted, the topics of self-help books have changed from being about building character to teaching the skills of salespeople (winning friends and influencing people, etc.). Meanwhile, Cain argued, introverts get better grades, are more knowledgeable and can be better leaders because they only step forward to lead out of deep conviction. In a group setting, she said, there is not necessarily a correlation between someone talking the most and having the best ideas. Cain’s examples of great introverts included Eleanor Roosevelt, Rosa Parks, Gandhi, Charles Darwin, Theodor Geisel and Steve Wozniak. She herself just published the book “Quiet: The Power of Introverts in a World That Can’t Stop Talking,” which she said took seven years of research, including a year of working on public speaking. Cain’s talk hit exactly on the personal-story-turned-universal-lesson arc beloved by the TED audience, and her effort to transcend her own introversion received the main TED 2012 program’s first standing ovation. Though Cain’s talk was highly personal, it had a message for the business leaders in the room. “Stop the madness for constant group work, just stop it,” Cain urged. She also told the audience to honor their introverted sides, and spend time in contemplation — and then share that back with the world. “I wish you the courage to speak softly,” she closed.